Entering the RLX SH-AWD realm! Hi there. Long time Acura owner here. Been active on Acurazine in the TL and MDX forums for quite a while. Starting at 5pm today, we enter the world of RLX Sport Hybrid ownership, so wanted to introduce myself to the group! This is actually our family's 10th Acura since 1990 - largely owned/driven by my wife. Two early 90's integras started the journey, and then her 93 Legend L that she adored. At lease end she moved to a 96 RL that was just OK to her (too big, too heavy), that she kept until she moved into a series of Honda Pilots as our kids got older. 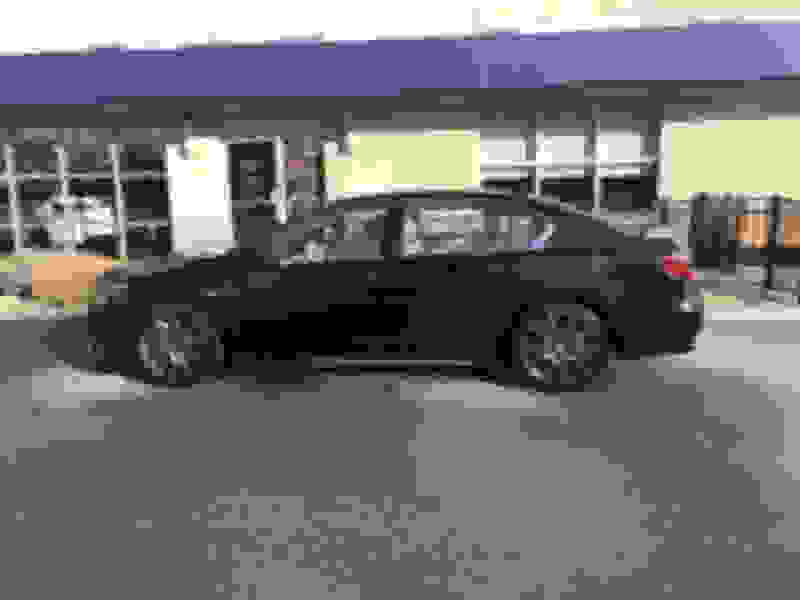 Then earlier this decade she moved into her current car, a 2012 TL SH-AWD Tech. This was by far her most favorite Acura. She only put 55k miles on it over a 6.5 year ownership period, and loved every minute of driving it. For me, I'm on my 3rd Acura - all SUV's. 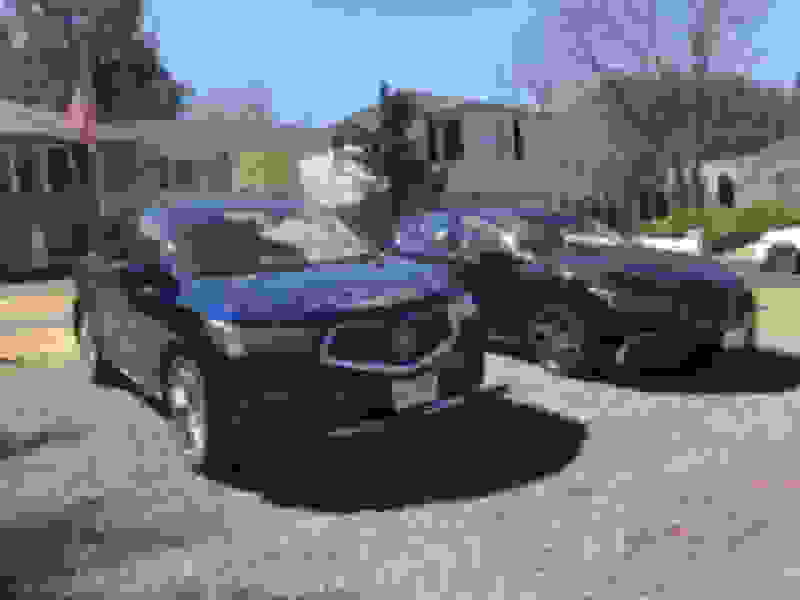 '13 MDX Base, then a '15 RDX AWD Tech, and my current ride a '17 MDX SH-AWD Tech (my avatar picture). I love driving that vehicle for sure. 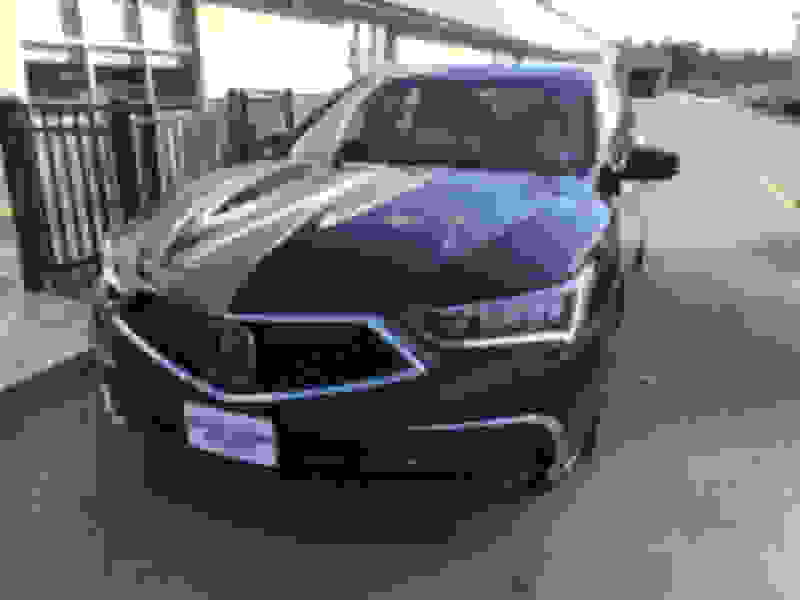 So how did we enter the RLX market? Wife always longed for one, as she didn't like the TLX changes at all. Every time I got a loaner for maintenance work at the dealer I'd get a TLX and have her drive it, and she'd fall back to her TL and say "I'm keeping it till I die". She thought an RLX would be a good progression, but was put off by the high sticker price, and she kept comparing it to her 96 RL, which she never really liked. 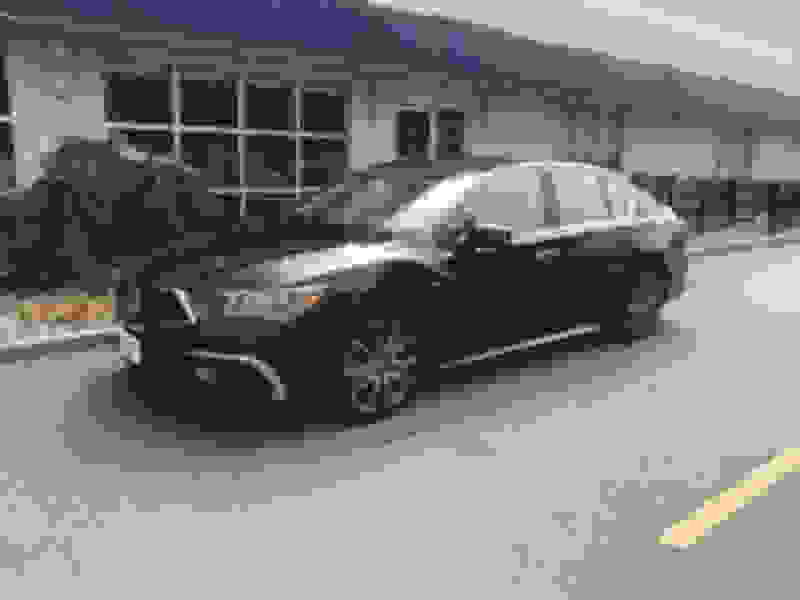 So anyway, our local dealer advertised a CPO 2018 RLX Sport Hybrid Advanced that was a dealer loaner with only 1200 miles. 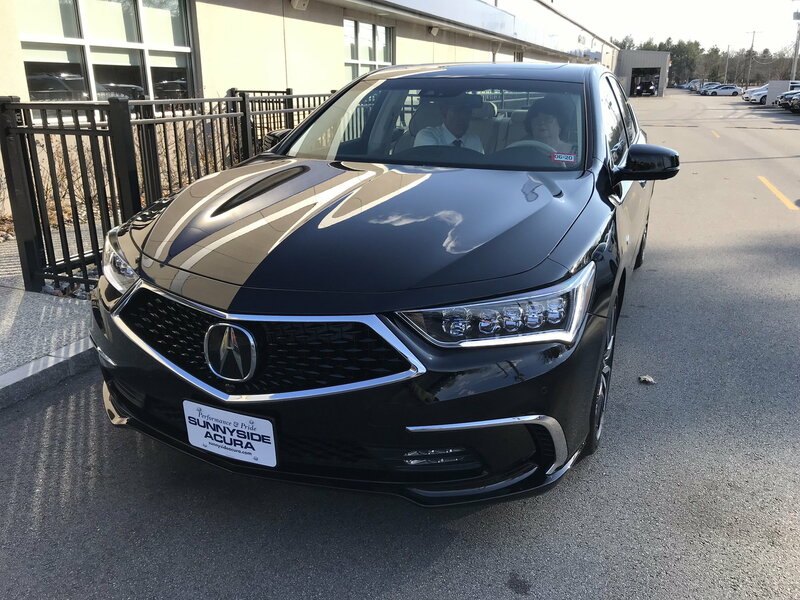 This past weekend we went down and drove it, and from that point on her beloved TL was just old, moldy and something that took second place in her heart :-) The RLX is like butter when driving, and extremely fast. The minute we got back to the dealer she sat down to cut a deal, and within 20 minutes the deed was done. 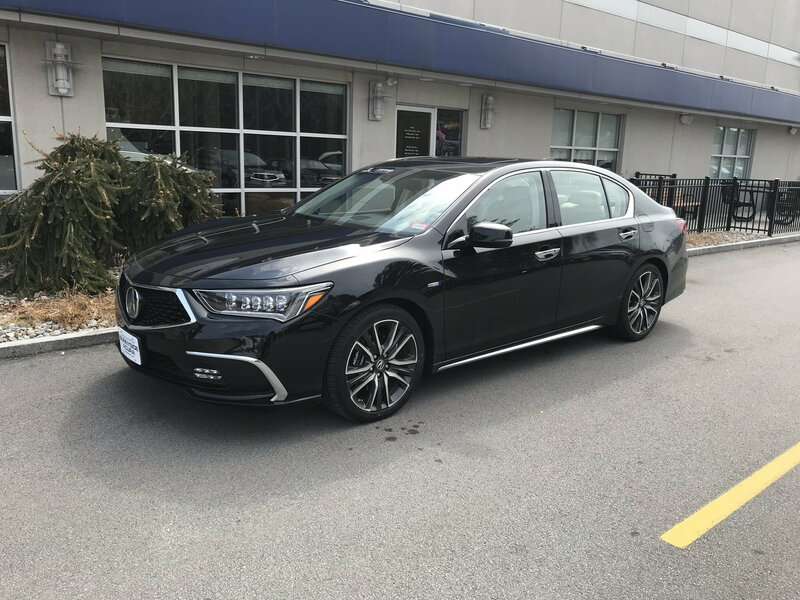 We ended up with what I thought was a decent deal - 2018 RLX SH-AWD Advanced with 1200 miles, full CPO, for $46,500. Given they had an identical '19 model for a whole lot more, she felt it was a decent deal. We had to wait until today to pick it up since the dealer hadn't gotten the title yet (their loaner fleet is financed remotely and they had to release the title) - so she's been anxious as heck to get it since the weekend. I'll report back as to how she likes it after driving it a while, but wanted to start engaging with the group. Below are a couple of photos after the test drive. It's not prepped yet (detailed) in the pics, but looks pretty good even when dirty. :-) Happy wife, happy life!!! Congrats Andy and Mrs. Andy! I followed a similar path from a 2012 TL SH-AWD but then went into a 2014 P-AWS RLX and ultimately my 2015 RLX Sport Hybrid. It’s a great car - enjoy!! Gorgeous car, super deal! I'm looking forward to her impressions of the TL-SHAWD compared to the RLX-SHAWD. You are going to love it. 28-32mpg (higher at times), and great performance. 0-60mph in 4.8 seconds, 13.6 in the quarter mile at 106 mph and enough passing power to get pulled over much faster than planned. Triple digit speeds are ridiculously easy to achieve, so be careful. Enjoy! Yes, KILLER deal. I recently paid$49K+ for one with 356 miles on it. You're gonna love that car!! Wait until you do a full throttle standing start with "Sport" engaged....and be ready to have a handful!! Make sure you have the brake hold on, and manually engage M1 to start out in first gear. Congratulations andysinnh!!. I hope your wife enjoys many, many smooth, quiet, smile-inducing miles in her new Sport Hybrid. It sounds like you got a great deal - good things come to those that shop around and wait for the right deal. We'll done. Thanks, everyone. We were able to take delivery last night, and it's been a pleasure for her to experience over the last day or so. 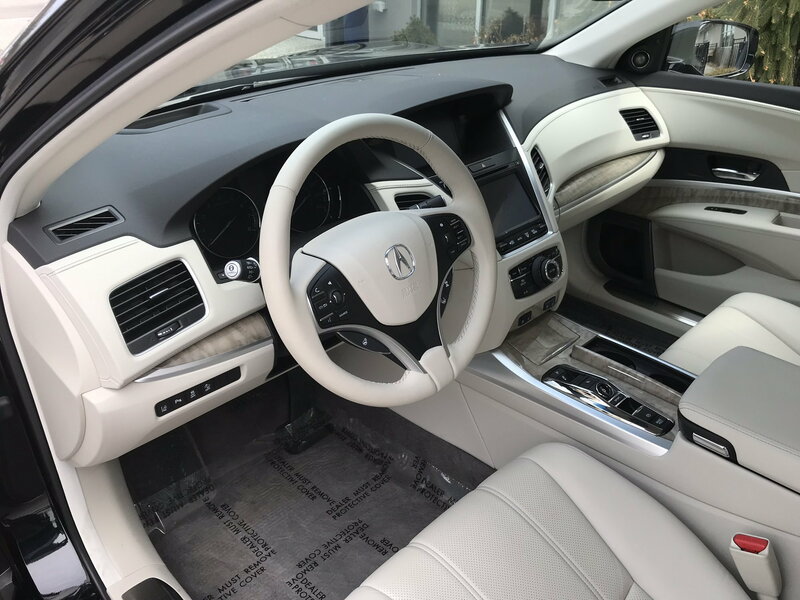 It is just so amazing how much smoother and refined it is than even my MDX, let alone the TLX which would have been the normal evolution from her TL. I'll check back in with her when she gets home from work today. Here's a couple pics from delivery last night - with it fully detailed and in a more sunny environment. Congrats! You’ll enjoy it, and you will find it’s a bit of a sleeper. I have a Seacoast interior. I have a 2014 so my steering wheel is black. Congrats! I love the refreshed RLX SH! New member coming from the realm of supercharged 3800's. Quick Reply: Entering the RLX SH-AWD realm!